The expected in-stock date is Sunday, June 02. 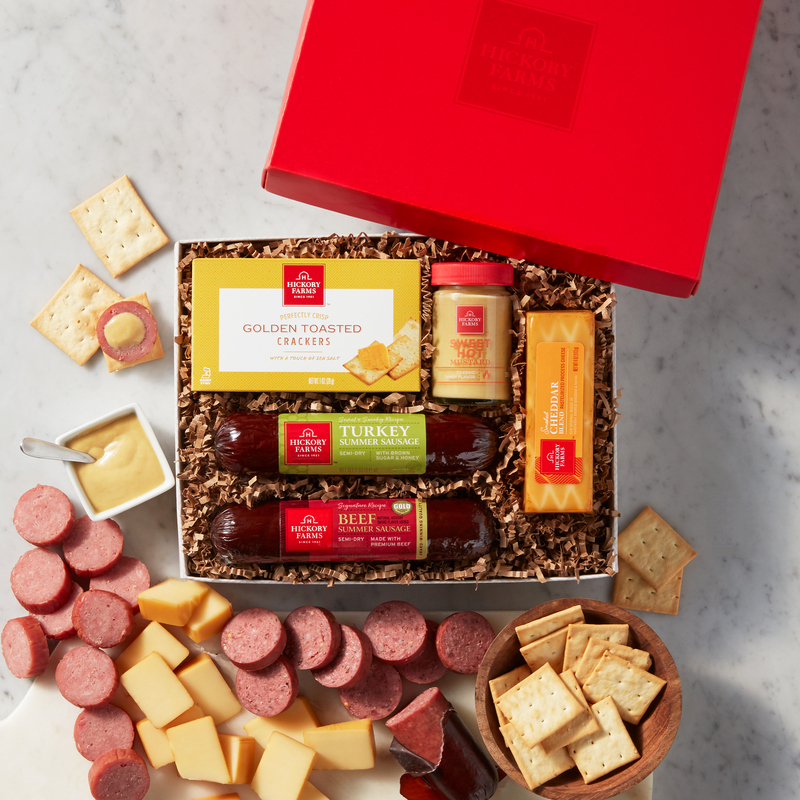 The perfect introduction to our signature savory flavors, this sausage and cheese gift box is sure to please everyone. It features our award-winning Beef Summer Sausage, made with 100% premium grain fed beef and prepared with the perfect blend of hickory smoke and savory spices. It also includes our Sweet & Smoky Turkey Summer Sausage, with its delicious sweet finish. Paired with our Smoked Gouda Blend mild creaminess, this meat and cheese gift box is perfect for sampling and sharing with friends and family. 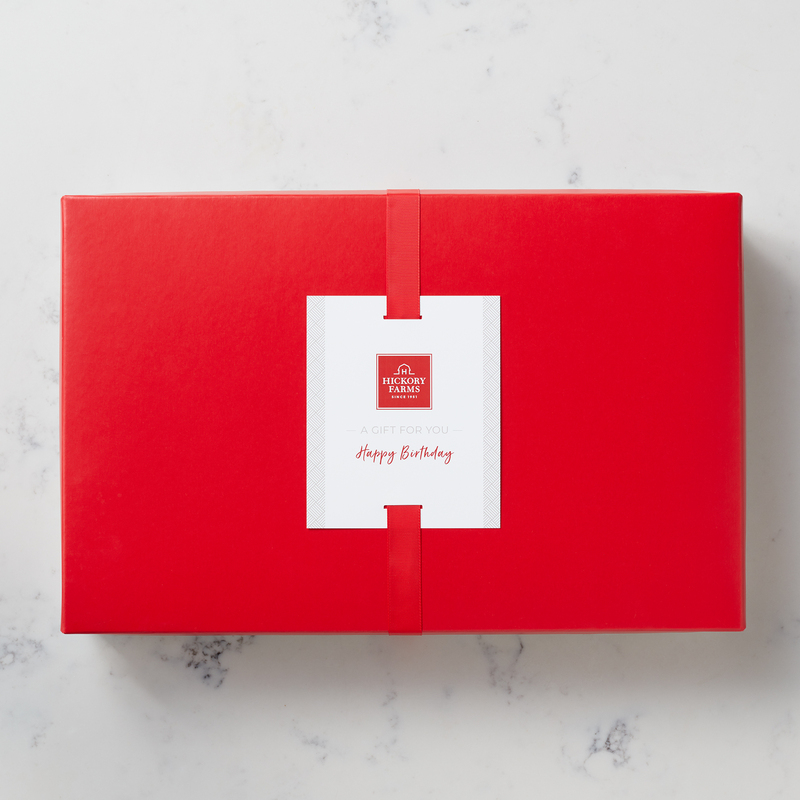 Send one to someone who loves savory snacks for a thoughtful gift.